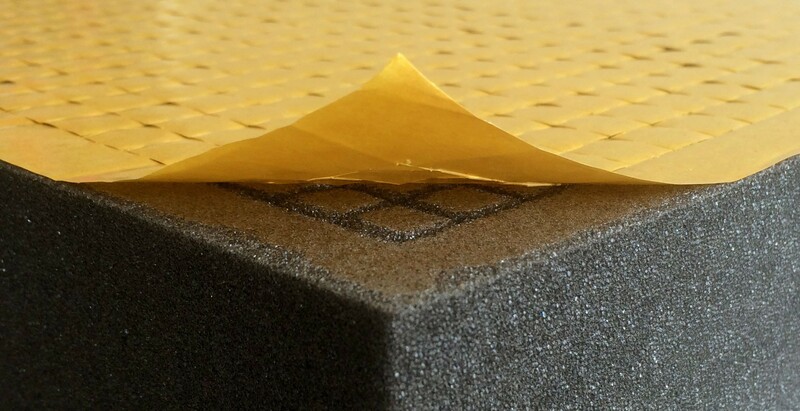 Pick and Pluck foam is perfect for creating snug, specialized shapes and sizes for cases and packaging. With a 14,0 mm grid configuration, this foam can be easily separated by hand to fit around any object. Dimension 345 mm x 275 mm x 90 mm and is one-sided self-adhesive - simply peel off foil - stick – done! Perforated foam cuboids (22 * 17 = 374 cuboids each is 14 x 14 mm x 90 mm) it’s easy to place your miniatures where you want!